In the running months to the EOYS, I was part of the EOYS committee and assisted with Planning, however most of our plans ended up undergoing heavy alterations once actually faced with the space, boards and number of projects we had. The past week has been a mixture of cleaning and painting and some panicked attempts at printing. This brings to problem 1 encountered. Generally, I’m not a fan of giving negative reviews to any business, but seriously, when I place an order for about £100 worth of prints, I don’t want to get an email back 5 days later saying that they can’t get our prints to us til Wednesday a week after the deadline. This seems to be a commonplace situation, where the printers in Belfast had a backlog of online orders, or were not actively printing anything over the weekend, or bank holiday of the deadline. As of writing this, I haven’t yet gotten a single print ready, though I am supposed to be collecting a number of the vital pieces at around 10am, giving just two hours to set things up. (It’s important to note that these were ordered on Tuesday the 22nd). We had a small selection of ideas of how our stuff could be layed out, however upon seeing the actual space and where we would be positioned – some, rethinking was needed. Looking at the space, we layed out what we thought might work. However, we felt that we needed more to show and to have our poster exhibited as well, to help direct people towards us. This was the rough idea we had, which we briefly highlighted in photoshop. The actual content of the wall can be seen below, in it’s unprinted formats. Vignette Renders to go on the Right hand Side. Pseudo-Wireframe Renders of Key Characters. Original Environment and Tonal Concept Art. Info-pages with relevant references to our roles. And then taking the center piece. In addition to this we had 3 bunnies with some dandelions as our ‘feature’ to help tie the area together. Upon printing everything at Windsor Prints, and sticking everything up with Velcro, which allows us to make minor adjustments to angle to help straighten things out without too much effort, it looked like this. On the right we are displaying the short film, with showreels playing side by side on the right. CV’s were also attached, and placeholders for the Business Cards that are yet to be printed. Reflection on the End of Year Show. Part of the difficulty of preparing materials for the EOYS was the fact that as a small team of two with limited resources, and external priorities, was that we couldn’t afford as much time or money to getting the things we would have ideally had access too. This wasn’t just extended to the quality and quantity of prints themselves, but also the amount of additional pieces we could include, 3D Prints, tablets and the like. Despite this, I’m pretty pleased with what we ended up getting, albiet a few minor hiccups along the way. Rebuilding our showreels, websites and CV’s also ate into our time, and putting together a showreel on a dying laptop was a challenge, one that was thankfully relieved however just a few days before the deadline. On the topic of my showreel, I do feel like I need to add more to it, including re-rendering some of the Zbrush Sculpts, which simply did not output with the quality I expected. I suspect this was due in part to a choppy conversion from .mpg to .mp4. Aside from the contribution and reflection of my own stall, most of my contributions happened during the earlier months as part of the EOYS committee, before we began divving up the roles as the date approached and our plan became more secure. One of the main things we did was try to ensure that larger teams took on the larger jobs, as they had more people, and therefore more time they could spare from their projects. This backfired for some of us, as it meant we did not have a solid or set role to work on during the EOYS preparations. In the end, it boiled down to doing what we could, more than anything else – cleaning, painting and moving furniture becoming about the sum of it. The colour palettes established in these pieces of artwork by Anna were used to help work out the tone of each sequence and what kind of lighting would be required. For the darker shots, harsher and slightly purple tinted lights had to be used to ‘frame’ the characters and help them pop out of the background. Alternatively, in brighter shots, a yellow directional light was used to cast shadows around them to make them stand out from their environment. The plan was for every single background of the film to be completed in a very painterly style, with thick, visible brushstrokes and bright colours. This Skysphere is used in Scenes 1 & 2. It is the pleasant, normal sky that appears when all is calm and at peace. As you can see I used very vivid colours and thick brushstrokes to paint the fluffy clouds to create a very fun and carefree sky. This second Skysphere is used during Scene 3, when the rain begins to fall. The colours are still natural, signifying that the situation is not so far from reality, but the swirling vortex of the clouds tells us that the worst is yet to come. 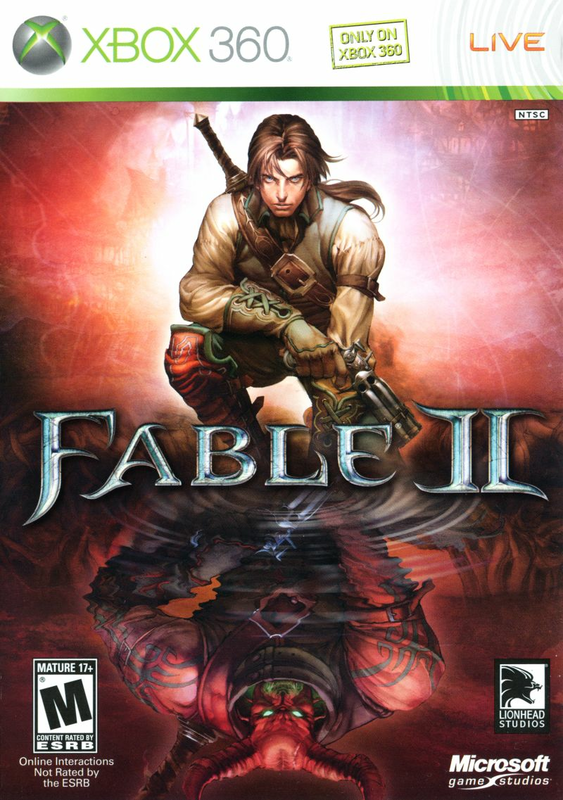 The Idea for the poster came from one of my favourite video game covers of all time, being Fable 2. After much brainstorming we settled on the title “Storm Within” for our film. Following the general aesthetic of the film as a whole – that being painterly with very vibrant colours – I designed the poster so that it could properly represent the overall colour scheme and tone of the animation and represent its themes. All Videos are Examples and do not reflect the sum total of contribution. Modelling, Rigging, Environment Layout, Lighting. The Short Film Storm within was created by myself and Anna McCraith, whilst Anna handled the Character Animation and Compositing, as well as Texturing of characters, I dealt with the 3D Modelling, Rigging, Environment Layout and 3D Effects that you see in the film. A brief bullet-point of my contributions broken down by scene is below. Fat Rabbit’s – Modeled and adapted from the Model of Alan. Modeled based on Silhouette Reference. Retopology and Model Adjustments to Zbrush Sculpt originally made by Kerry McCormick. Model ‘bashed’ using previously listed models.